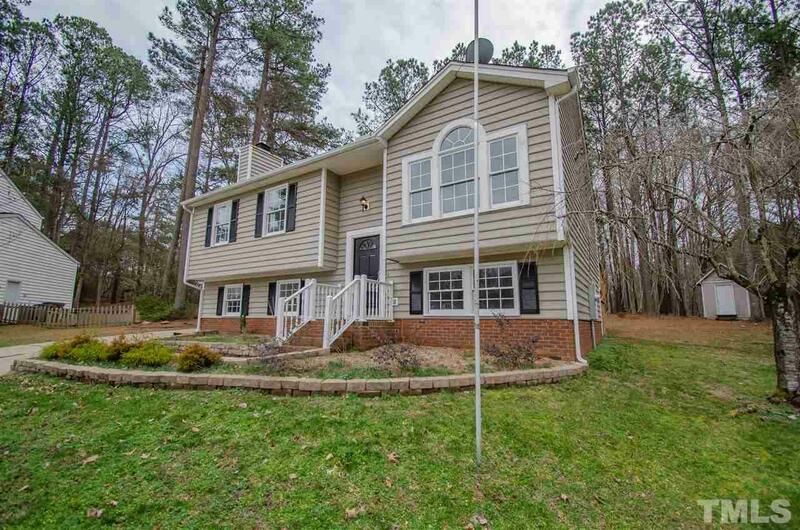 Five-Bedroom Home Nestled in the Heart of Wake Forest! Elegantly updated, this home delights! The main level is full of natural light with room in the kitchen for everyone. Granite counter-tops, light cabinetry, stainless steel appliances in the kitchen, sleek, maintenance-free flooring throughout with modern light fixtures everywhere. The lower level has a large family room with 3 additional bedrooms. Privacy abounds in the back where a 2-tiered deck offers relaxation. No detail was overlooked! !